Take your Yoga practice or studio to the water! Dura-Shield Polycarbonate Shell Construction - from 28 pounds! Most durable stand up paddle board we offer. Fun, fitness and versatility for the entire family. Easy to use for beginners to intermediate stand up paddle boarders 75 to 350 pounds. Very stable paddlboard on flat and rough water. 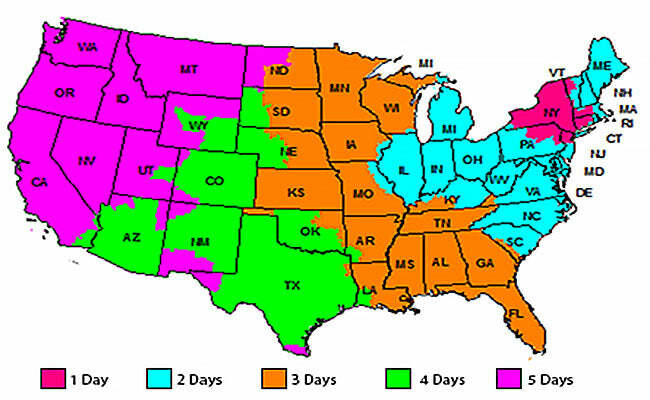 Extremely durable for long term family and SUP rental center use. Great for cruising, yoga, carrying dogs or kids and fishing. From 28 pounds, the Cruiser SUP ECO Dura-Maxx combines low price and durability with light weight, ease of use and versatility. Perfect for yoga studios, families, cottage, rental and long term durability. More stable - up to 33.5" wide, 5.25" thick and 260 liters of volume! 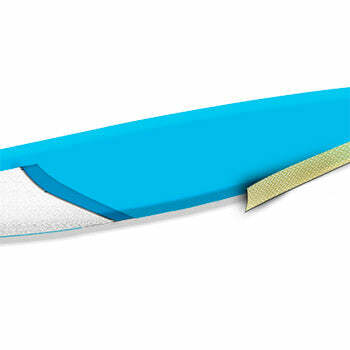 Cruiser SUP's Dura-Shield shell, with ECO ABS/poly-carbonate construction, offers the best combination of durability and light weight, at a great price! The Cruiser SUP Balance / ECO Dura-Maxx offers ease of use for beginners, SUP Yoga, fishing and rental, yet versatile performance as you progress to intermediate paddler. Dura-Shield ECO ABS/poly-carbonate shell and rail guard offer ultimate durability, keeping you on the water longer. The end result is the lightest and strongest skin, over a light Kevlar and fiberglass reinforced EPS foam core. The Balance / ECO Dura-Maxx comes equipped with a Comfort Top full length deck pad, for ultimate traction and comfort, touring fin, deck bungees (4 nose and 2 tail inserts), GoPro insert and ergo carry handle to make transporting your boards to and from the water easy. Developed to withstand the abuse, wear and tear of the most demanding SUP Schools. With an ECO ABS/poly-carbonate outer shell for added resistance that you are looking for in a beginner, cottage, family or rental board. 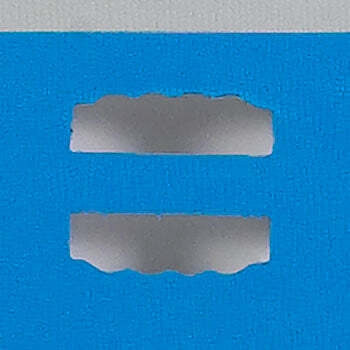 Our rail protection prevents dings and scratches, due to paddle strikes and dragging along the beach. The extremely durable, light-weight construction and stability of the Balance / ECO Dura-Maxx construction makes it the perfect board for a wide range of users. Cruiser SUP's Dura-Shield ABS/poly-carbonate construction, offers the best combination of durability and light weight, at a great price! The Cruiser SUP Dura-Maxx 10'6" offers ease of use for beginners, SUP Yoga, fishing and rental, yet versatile performance as you progress to intermediate paddler. Dura-Shield ABS/poly-carbonate shell and rail guard offer ultimate durability, keeping you on the water longer. The end result is the lightest and strongest skin, over a light Kevlar reinforced EPS foam core. The Dura-Maxx comes equipped with a Comfort Top full length deck pad, for ultimate traction and comfort, touring fin, deck bungee (with 4 inserts) and carry handle to make transporting your boards to and from the water easy. Developed to withstand the abuse, wear and tear of the most demanding SUP Schools. With a ABS/poly-carbonate outer shell for added resistance that you are looking for in a beginner, cottage, family or rental board. 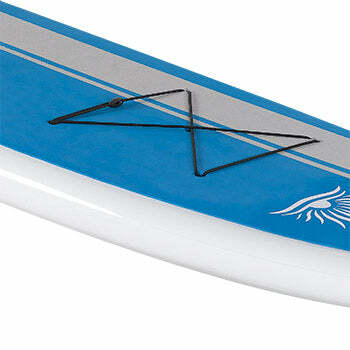 Our rail protection prevents dings and scratches, due to paddle strikes and dragging along the beach. More durable - molded ABS/Poly-carbonate shell with rail protector. More stable - 33" wide, 5" thick and 230 liters of volume! More compact - more volume than Dura-Lite 11'6"
A full polycarbonate shell gives the Dura-Maxx incredible durability, while still remaining light and high performance. 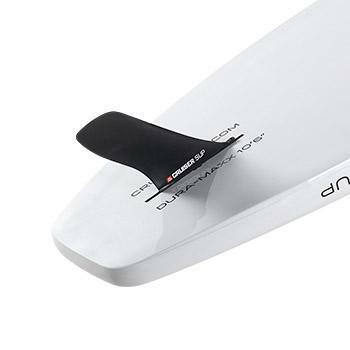 Comes with 9" screw-less touring fin shaped for great tracking and glide. I am impressed with the quality. It is a really nice board. It is very large compared to an average paddle board - thicker, heavier, and a bit slower. However, that makes it very stable with a very large platform. It has really nice attachments and plenty of areas to tie down any gear, coolers, speakers, etc. My only reason for not giving 5 starts is that there are a few minor quality issues - holes not drilled straight, seams on the perimeter not sealed properly, etc. I've had it for a year and would make this purchase again. Glenn was very helpful if you have any questions. 2nd Board from Paddleboard Direct, Great service! 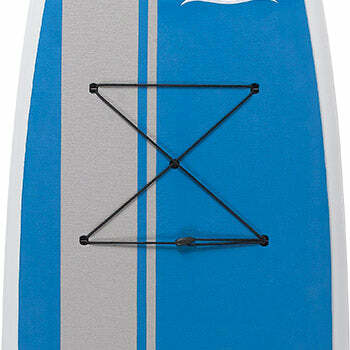 This is our 2nd board purchase from Paddleboard Direct. Have absolutely GREAT customer service and the boards & paddles arrive quickly with lots of protection on them. Haven't had a chance to get this board out yet, but I'm sure it will be just like the one we bought last year. Great when you have two 80+ pound Lab/Pointer pups that want to go paddling with you. Thank you very much for great customer service and products.